Fences can serve as a decorative element, to mark a boundary, provide privacy, keep people or animals in or to keep them out. Regardless of your fence's purpose, we can help you to design, plan, build and maintain your fence. Good fences make good neighbors, but they can also make a statement. 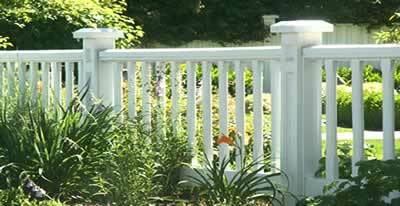 Beautify your home and yard with a sturdy, well built fence. Fence Panels: Built-in- Place or Pre-Built?